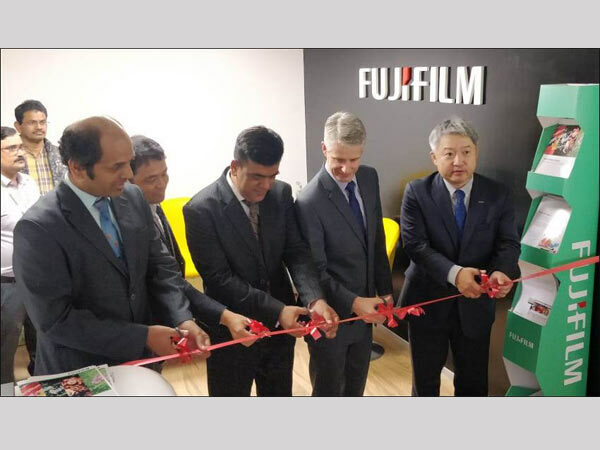 Fujifilm India Private Limited launched its Second Graphic Arts Demo Centre in Gurugram. The unique Demo Centre has been designed to demonstrate Fujifilm India’s latest innovations in graphic arts technology and will give a first-hand experience of the company’s wide-format printing prowess. This is the second such facility in India, the first one being located in Mumbai. The Acuity range of printers has been a success with their speed, quality and precision in work. Moreover, they are energy efficient and much kinder to environment. The flatbed Acuity EY, on the other hand, is a true breakthrough in wide format UV digital imaging technology from Fujifilm, offering the perfect combination of near photographic print quality, production output and investment cost. With Uvijet inks the Acuity EY can print on to a broad range of rigid and flexible PoP materials up to 48 mm thick and the white ink option provides an opportunity to print high value materials like wood, metal, clear and coloured products.